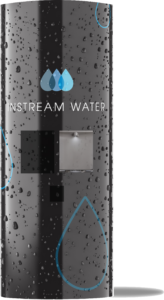 Interested in having an Instream Water refill station in your community? We work with potential host sites to determine where we can have the biggest impact on reducing plastic waste and providing safe and affordable filtered water. Reduction in water waste- did you know it takes 3x the amount of water to manufacture the single-use plastic bottle than actually goes into the bottle for consumption? We install and maintain each refill station at no cost to the host. Remote Monitoring- every component inside the kiosk is remotely monitored to ensure premium water quality and safety to the surrounding environment. Remotely Manipulation- We can remotely cycle water through the system, turn the water off, and manipulate the temperature inside the kiosk. Drop us a line today for additional information!